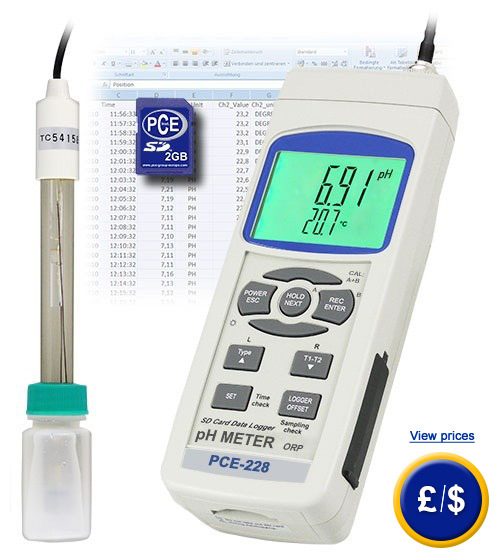 The PCE-228 pH-meter is an easy to use handheld device for measuring pH, mV and °C. 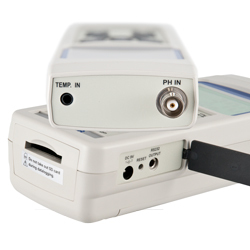 With the PCE-228 pH-meter, both temperature and pH values can be directly stored onto a SD card (in Excel format), or transferred to a PC through an RS-232 interface. 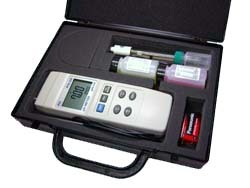 An optional software and data cable for the PCE-228 pH-meter are available as optional accessories to transfer data to a computer. 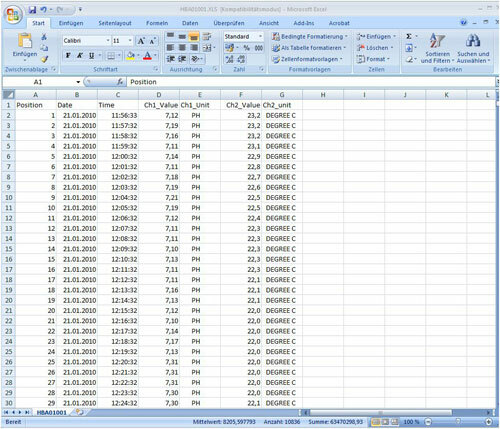 Temperature compensation in the PCE-228 pH-meter can be done manually or automatically by way of the temperature sensor which is included. The pH-meter has two calibration points. The calibration can be done with the trimmer on the side of the device which is protected under a cover. With this combined device, the user can determine pH value, temperature or Redox potency (ORP). For the latter measurement parameter, a Redox electrode must be ordered separately from the PCE-228 pH-meter. We recommend the ORP-14 electrode. 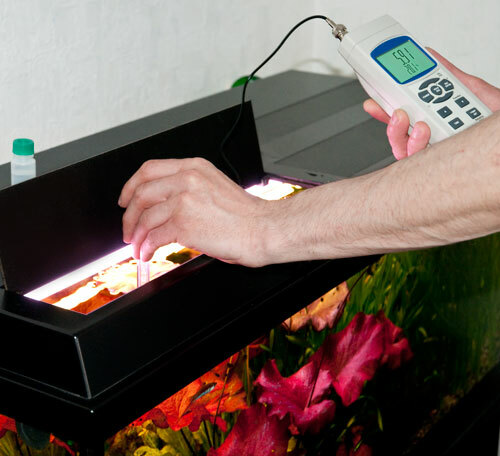 The pH-meter is powered by a 9V battery which is included. Here at this link you can find an overview of any type of pH-meter that you may need. 0 to 50°C max. 80% r.h.
6 x batteries, 1 x user's manual.